Maid of Honor or Maid of Honor Sister Speech! A maid of honor speech – particularly a maid of honor speech by a sister – is a special and often emotional tribute to the bride. And it will be one of the bride’s most cherished wedding speeches of the day. As maid of honor, you’ll be busy helping the bride with wedding preparations. You’ll very likely be involved with organizing the bachelorette party, too. With so many other things to do, preparing your wedding speech several weeks before the wedding will give you time to produce a sensational maid of honor speech. Whether you’re the bride’s best friend or her sister, you’ll have memories of times you’ve shared together which will form the framework for your speech. Remember, too, that the maid of honor wedding speech or maid of honor sister speech should include the groom. If you don’t know the groom very well, then you’ll have to talk to the bride or the groom’s family and friends to gather material you can use in your tribute. Here’s something else many wedding speakers don’t consider when preparing a wedding speech and toast – use wedding speech templates and examples to get off to a fast start. There’s a lot to be said for maid of honor wedding speech templates. They give you maid of honor sample speeches that have been prepared by professional writers. And that means they’re going to be worded in a way that will be able to convey your feelings. There’s no fumbling around wondering how to start your wedding speech or wondering what to say. Instead, you simply cut and paste and then add your own material. And one of the really helpful things about maid of honor sample speeches is that they give you ideas to include in your own speech. Remember, this will be an opportunity to honor and pay tribute to your sister in front of people who are close to her. So you want to be sure you include the most important points in your speech. While your wedding speech will be sentimental, it’s entirely appropriate to add a touch of humor, too. 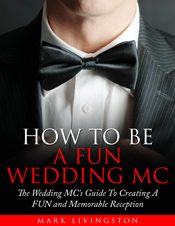 Humor is a wonderful ice breaker and makes your wedding speech fun and enjoyable for the wedding guests. 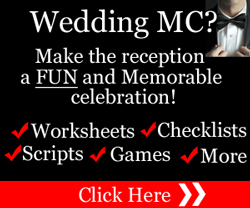 You can add humor to your wedding speech with jokes or quotations. 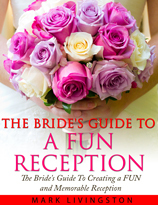 Or you can use funny anecdotes from your own experiences with the bride. There are, of course, a few cautionary words about using humor in your maid of honor wedding speech. You want to make sure that the humor you use doesn’t embarrass anyone – including the bride, the groom, and the wedding guests. So use good judgment, be tactful, and don’t tell secrets that would humiliate others – particularly the bride. Chances are you were chosen as Maid of Honor because you’ve known the bride for a long time and you’re close to each other. Your wedding speech will, undoubtedly, be sentimental. It’s going to be sincere. And it’s going to come from the heart. All you need to do is find the right words to express your feelings about the bride. There’s no need for a long speech that bores the wedding guests. If you stay focused, a five minute speech – about 750 words – will be a wonderful tribute to the bride and groom. And if you use wedding speech templates, you’ll very likely be able to pack a lot of sentiment and humor into your speech. Ultimately, you want to be remembered as the Maid of Honor who delivered a touching and heartfelt Maid of Honor wedding speech to the bride and groom at your sister’s wedding reception. 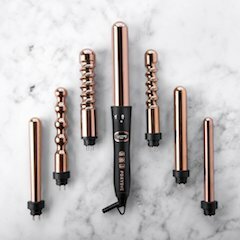 (The Wedding Speaker receives financial and/or other forms of compensation for products or services recommended or suggested on this page and appreciates your support).